A compact refrigerator is the ideal solution for a wet-bar, cottage or smaller kitchen. 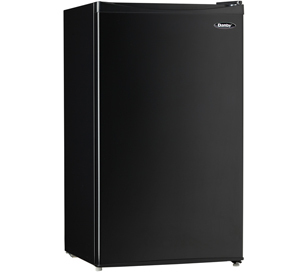 This model by Danby is one of the most popular on the market with its 3.2 cubic feet (90 liters) of cooling capacity. 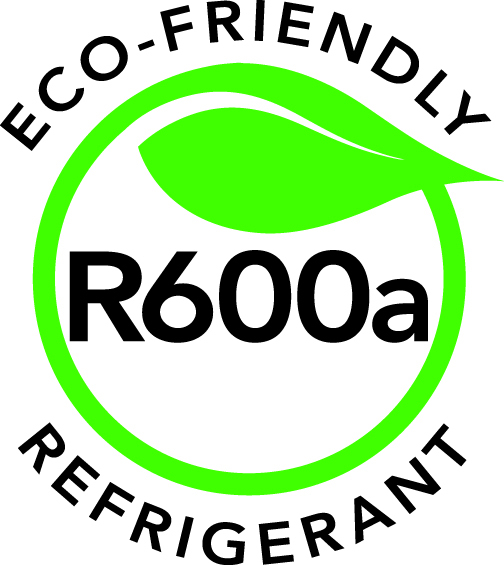 The appliance offers superior performance due to its simple manual-defrosting system and precise mechanical thermostat. The fridge comes with integrated door shelves, and two wire shelves to allow for maximum storage versatility. It boasts an innovative CanStor beverage-dispensing unit and has plenty of room for larger two-liter bottles. This efficient model is Energy Star compliant to help save on electricity costs and has a clever reversible door hinge which enables you to adjust it for either left or right-handed opening. The DCR032C1BDB has a 12-month warranty on parts and labor with handy in-home service. 12 months parts and labor coverage with in-home service. Installation and/or Yearly Maintenance (cleaning) are not covered under warranty.